Twice today, Antonio Roungeris has sent a Shooting Star to the rail, collecting bounty medals, t-shirts and $4,000 cash. 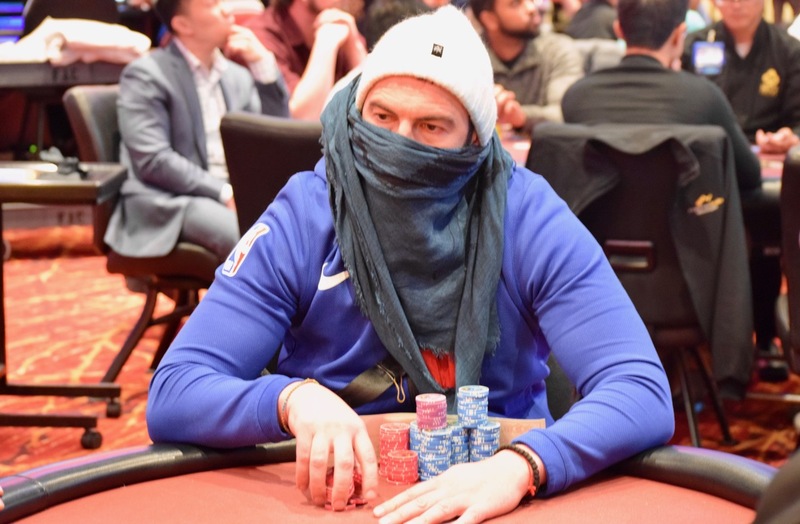 Roungeris eliminated Dylan Wilkerson J-T > A-9 about three hours ago, then knocked out Joe Stapleton in 38th place, 9-7 > 9-8, just before the redraw to 6-max tables. I don't know of anyone else in the field who collected two Shooting Star bounties. I also don't know if Roungeris is trying to hide his new Bounty Hunter status.